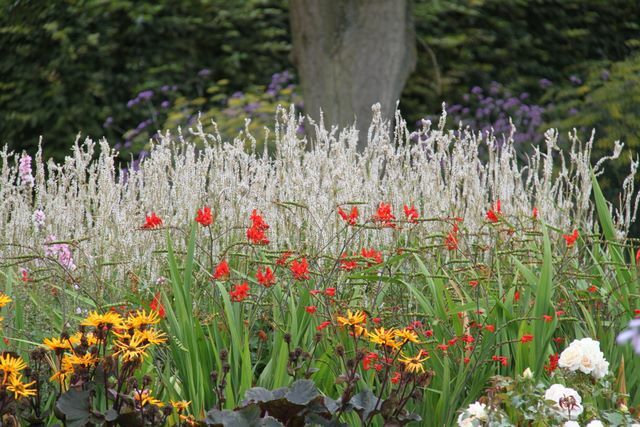 The garden of the Royal Horticultural Society (R.H.S) at Wisley has become a 'mecca' for garden-lovers everywhere. Getting There. 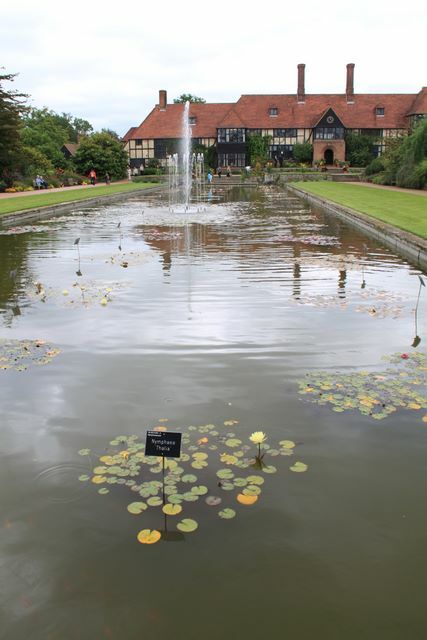 Wisley is a very beautiful garden with romantic half-timbered Tudor-style buildings. The soil is mainly acid sand which is poor in nutrients and fast draining. There is a canal designed by Sir Geoffrey Jellicoe, a rock garden, formal and walled gardens, mixed borders, a rose garden, rock garden, glasshouses, a fruit field and an arboretum. Then there are the alpine gardens, the model vegetable gardens and a country garden by Penelope Hobhouse. Any gardening speciality or interest can be met at Wisley. One area is given to various styles of model gardens. Trial areas of collections of cultivars are shown to compare, assess, or simply to admire. Laboratories research pests, diseases and general garden problems. Wisley's purpose is to "use and occupy the Estate for the purpose of an Experimental Garden and the Encouragement and Improvement of Scientific and Practical Horticulture in all its Branches".